What a great family meal that is not only delicious and satisfying, but just 4 Points + per serving. 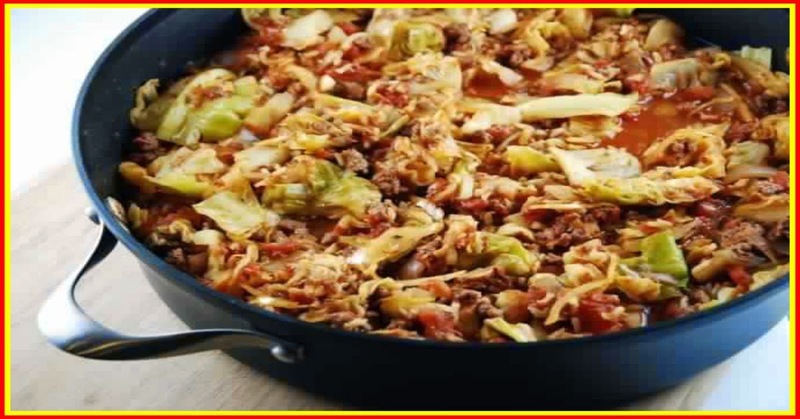 It’s sweet and sour taste is reminiscent of traditional stuffed cabbage rolls, but this saute is a lot less work. Stir in diced tomatoes, sauerkraut,tomato paste, broth, vinegar, sugar, thyme and paprika. Lower heat to medium and let simmer for about 10 minutes.